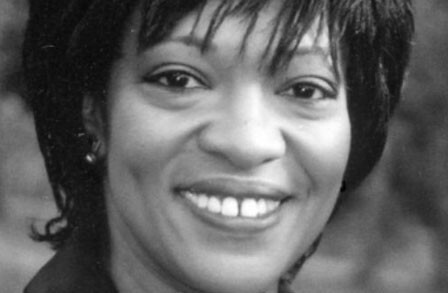 Rita Dove was born in Akron, OH, in 1952 and has many poetry collections, honors, and awards to her credit. In works like the verse-novel Thomas and Beulah (1986), which won the Pulitzer Prize, On the Bus with Rosa Parks (1999), a finalist for the National Book Critics Circle Award, and Sonata Mulattica (2009), Dove treats historical events with a personal touch, addressing her grandparents’ life and marriage in early 20th-century Ohio, the battles and triumphs of the Civil Rights era, and the forgotten career of black violinist and friend to Beethoven, George Polgreen Bridgetower. Poet Brenda Shaughnessy noted that “Dove is a master at transforming a public or historic element—re-envisioning a spectacle and unearthing the heartfelt, wildly original private thoughts such historic moments always contain.” In 1996 Dove received a National Humanities Medal. She is currently Commonwealth Professor of English at the University of Virginia in Charlottesville.